Pancreatic cancer is the obsession of any patient who suffers from this disease. 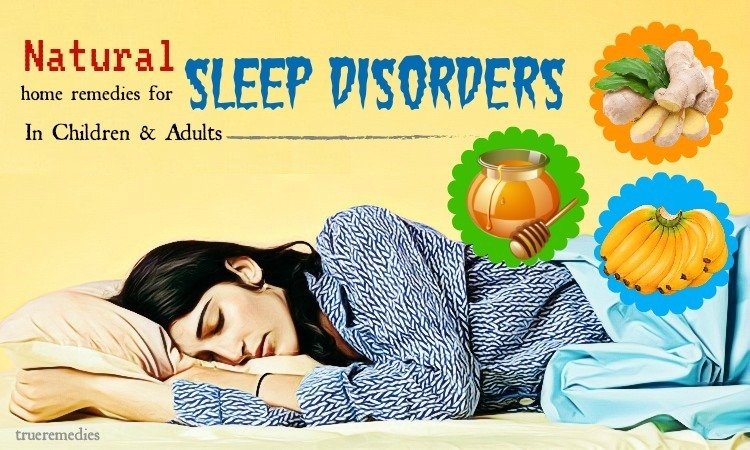 It is difficult to detect this disease early because it is less likely to cause symptoms in the early stages. In addition, today, medicine has not yet found a way to treat pancreatic cancer definitively. Therefore, the number of deaths due to this disease is increasing. It is essential that everyone should understand pancreas cancer and find out the exact information that helps prevent this disease. The article below will give you all that you need. Do not miss out on any of the helpful information below. Pancreas is located in the upper abdomen, behind the stomach and intestines. The shape of pancreas is similar to a flat pear and the pancreatic head is located near the duodenum (the small intestine behind the stomach). Pancreas is about 15cm long and is an extremely important part of the digestive system. It secretes insulin to metabolize the body’s sugar. Also, it produces enzymes to digest food. Enzyme which is produced in pancreatic cells will enter small tubes and form the main pancreatic duct. The main pancreas will lead enzyme-rich fluid into the duodenum. 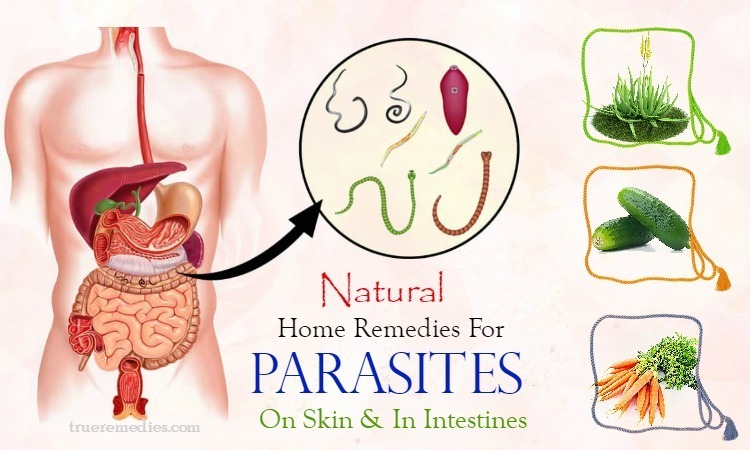 Enzymes are usually inactivated in the pancreas and activated in the duodenum to digest food. Cancer is a disease of cells in the body. 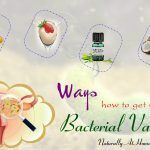 Each cell has its own mechanism of action and function. The similarities of main types of cancer are abnormal cells that are not controlled by the body. Pancreatic cancer is a condition in which abnormal cells appear to form malignant tumors in the pancreas. Malignant tumors can invade neighboring tissues, causing injury to the patient. In addition, tumors in the pancreas may also spread to other parts of the body. When the tumor breaks down, its cells move through the bloodstream or lymphatic system to all organs in the body, forming secondary tumors. After that, they continue to develop, invade and destroy neighboring tissues. When the tumor is enlarged, it can block the bile duct or main pancreatic duct, which stops the flow of bile or pancreatic fluid to the duodenum. When the tumor invades the pancreas, it can travel through the pancreas and invade neighboring organs such as the duodenum, liver or stomach. Pancreatic cancer is a relatively common disease, accounting for 1 in 10,000 people per year in the UK. It is always considered one of the most dangerous diseases. There are several different types of pancreatic cancer but over 90% are ductal adenocarcinoma. Some rare types of pancreatic cancer are formed by other types of cells in the pancreas, such as those responsible for the production of insulin and glucagon  . What Are Common Causes Of Pancreatic Cancer? About 5-10% of people have pancreatic cancer due to this cause. According to the researchers, genetic factors may also increase the risk of other diseases, but they have not identified them . Patients with diabetes may not make you more likely to get pancreatic cancer, but these two diseases are closely related. People who smoke more often have a higher risk of developing pancreatic cancer. The more you smoke, the higher your risk. 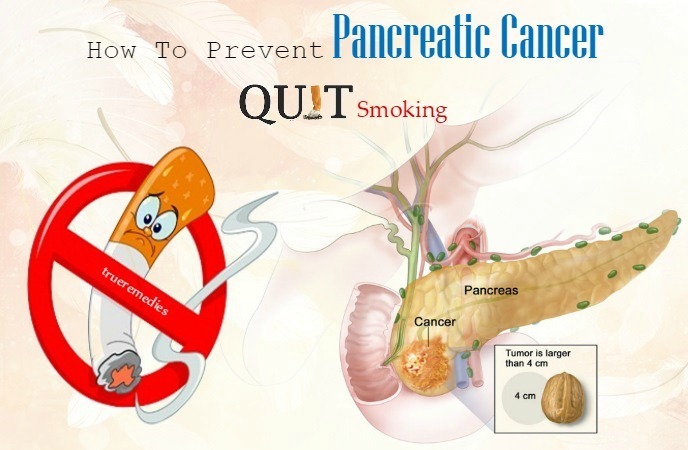 Researchers say that if you stop smoking for 10 years, your risk of pancreatic cancer will be the same as for a normal person. A recent study found that overweight and obese people (BMI over 30) are at high risk of developing pancreatic cancer. People who exercise regularly also lose half the risk compared to those who are lazy. Diets high in fat and meat (especially processed meats or bacon) have been shown to be associated with pancreatic cancer. Thus, a diet rich in fruits and vegetables helps reduce the risk of this dangerous cancer. However, there is an opinion that the relationship between diet and disease is not clear. Studies have shown that the levels of these nutrients in patients with pancreatic cancer are very low. However, there is no clear evidence that lycopene and selenium deficiency can lead to pancreatic cancer. Age is also a cause of pancreatic cancer. Most patients with pancreatic cancer are older than 45 years. Pylori infection is one of the causes of pancreatic cancer. Besides, excess acid in the stomach is also a cause of this disease. Cirrhosis due to hepatitis or alcohol abuse also increases the risk of pancreatic cancer. People who are usually exposed to pesticides, dyes and chemicals are also at high risk of this disease. What Are Common Symptoms Of Pancreatic Cancer? The skin and the whites of eyes turn yellow (jaundice). A risk factor is anything impacting your risk of getting a disease, including cancer. Different types of cancers will have different risk factors. Among risk factors, some can’t be changed (like smoking) while others cannot (like family history or a person’s age). However, having one or many risk factors does not mean that you will surely get the disease. Many people getting the disease might have very few or even no known risk factors. Gender: Males are prone to developing pancreatic cancer than women. Perhaps, the reason is because the higher amount of tobacco used in men. Race: African Americans are more likely to get this type of cancer than whites. Age: People are at higher risk of pancreatic cancer when they get aged. Family history: pancreatic cancer might run in specific families because of an inherited syndrome. Diabetes: People with diabetes are prone to pancreatic cancer. Stomach problems: Stomach infection might increase your potential risk of getting cancer in the pancreas. Liver cirrhosis: Generally, cirrhosis is a liver’s scarring, which develops in those people having liver damage due to alcoholism or hepatitis. You can control this problem by minimizing risk factors. Please see your doctor for more information. Because of the location of the pancreas, pancreatic cancer can be difficult to detect and is usually only diagnosed when the disease has progressed to a severe stage. Early diagnosis and treatment can prevent this condition from worsening and preventing medical emergencies, so you should talk to your doctor as soon as possible to prevent this serious condition. Besides, if you have any questions, please consult your doctor. Each person’s condition is different, so please consult your doctor to select the most suitable option. Above are some useful information aboutpancreatic cancer. It’s time to find out tips how to prevent pancreatic cancer symptoms naturally. Please take a look at TrueRemedies.com! This is the tip on how to prevent pancreatic cancer naturally. If you are smoking, quickly give up this stimulant. If you have not smoked, never try it. The reason is that smoking has more than 40 chemicals that can cause cancer, most common are lung cancer, nasopharynx cancer, and pancreatic cancer. Many studies have shown that one in three cases of pancreatic cancer is related to smoking. Smoke contains many harmful chemicals that cause irritation and inflammation in the tissues and organs of the body . Not only does it cause cancer, but it also causes many problems for your health, hair, skin and nails. Therefore, quitting smoking is essential. For people who are already addicted to tobacco, they need a strategy for quitting smoking: using assistive methods, nicotine replacement therapy, or drugs that inhibit cravings. Regarding to how to prevent pancreatic cancer naturally, maintaining a healthy weight is very important. If you have a healthy weight, keep your body at this level. If you are overweight then you should lose weight slowly with a steady amount: reduce by 0.5 to 1 kg per week until the weight reaches ideal. In addition, you can also exercise for about 30 minutes a day to lose weight and maintain a toned body. At first, you should practice lightly, then gradually increase in intensity and time. Excess protein in the body causes the pancreas to overload the digestive enzyme, leaving the enzyme with no time to suppress the disease and remove the tumor. So in your daily diet, you should limit foods that contain too much protein. This is a natural anti-cancer active in cruciferous vegetables such as cabbage and cauliflower. It can inhibit the growth of cancer cells and destroys harmful free radicals in the body. You should eat plenty of turmeric and curry powder because they are rich in curcumin active ingredients. Curcumin is an active substance that kills pre-cancerous cells without damaging other healthy cells. This active substance can destroy free radicals and prevent the formation of nitrosamin, a substance that causes pancreatic cancer. You should avoid consuming these foods as they increase the risk of pancreatic cancer by about 40%. Foods rich in nitrate will make the body easy to metabolize. Nitrate works in conjunction with other substances to make nitrosamin – the cause of pancreatic cancer. Nitrates are used to give processed meat products an artificially deep red color. Nitrates in foods will then be converted into nitrites within the body, thereby forming nitrosamines, which have been proven to induce pancreatic cancer cells in animals and are reckoned potential human pancreatic carcinogens. Fortunately, the formation of nitrosamine could be inhibited by some antioxidants like vitamins C and E. Since the majority of veggies are a powerhouse of antioxidants, the formation of nitrosamine is often not a serious concern when you consume veggies, even if they have a small amount of nitrates. 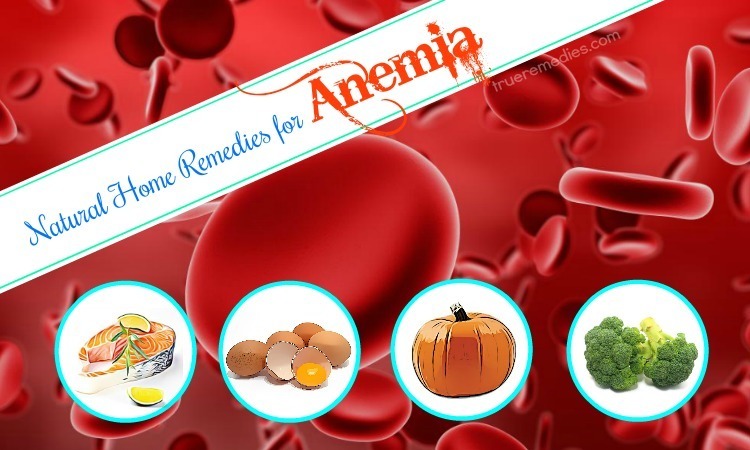 You need to consume foods rich in these vitamins as they can all boost the body’s immune system, remove free radicals, and reduce the risk of pancreatic cancer by about 40%. This tip on how to prevent pancreatic cancer symptoms naturally is simple but essential for everyone. Previous research has shown that bacteria in the mouth can trigger inflammation, leading to cancer. Poor oral health is also associated with heart disease, stroke, diabetes and premature birth. People infected with P.gingivalis increased the risk of pancreatic cancer by 59%. In addition, those infected with A.actinomycetemcomitans increased the risk of developing pancreatic cancer by 119%. P.gingivalis and A.actinomycetemcomitans are pathogens that cause dental disease. Although the results of this study have not completely confirmed that bad oral health is likely to lead to pancreatic cancer, to prevent pancreatic cancer you should still carry out oral hygiene daily. When it comes to tips on how to prevent pancreatic cancer naturally, doing exercise like walking will significantly minimize your risk of getting pancreatic cancer as well as other types of cancer. A study by the Harvard Public Health Institute found that one hour of walking a day can help the body reduce the incidence of pancreatic cancer and colon cancer by half. Furthermore, maintaining daily walking habits can help reduce the amount of energy that the body absorbs, maintaining a healthy body weight. According to a new study published in the New England Journal of Medicine, 6 cups of water a day (240ml each) can reduce the incidence of bladder cancer by 50% and reduce the incidence of pancreatic cancer and colon cancer by 45%. Drinking plenty of water will increase urination frequency. 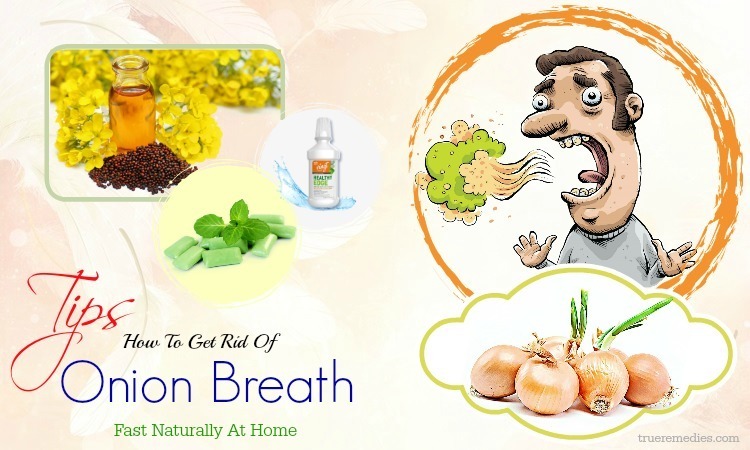 This will promote the activity of the secretion system to remove harmful substances from the body. This reduces the risk of pancreatic cancer. Besides, drinking enough water is also good for your health in general. So do not forget to bring water whenever you go out. 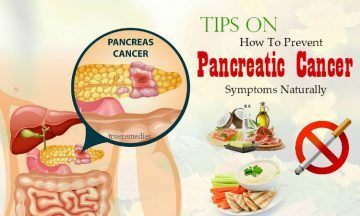 This sounds strange when eating complex carbohydrates comes to tips on how to prevent pancreatic cancer symptoms naturally, but it works. Limit eating pastries, fries and other processed carbohydrates. Instead, eat healthy carbohydrates, including fruits, vegetables, whole grains and whole wheat bread products like bagel, pita bread, and tortilla. In addition, add high fiber foods to your diet. Fiber has been shown to reduce the risk of pancreatic cancer by acting as a “mop,” slowing down the digestion process and slowing the rate of glucose entering the bloodstream. So, eat legumes such as black beans, chicken legumes, kidney beans, pinto beans, peas, and lentils because they are rich in fiber. Sugar drinks should be limited if you want to know how to prevent pancreatic cancer naturally. Bottled fruit juice is one of the drinks containing a lot of empty calories and sugar. The juice content in them is very low. Instead of reaching for bottled fruit juices, you should drink plenty of water and fresh fruit juice. Soda water, soft drinks, bottled fruit juices, liqueurs, flavored drinks, energy drinks, etc. are potential sources of sugar that your body does not need. Only drink these as a drink to enjoy, prefer water and fresh fruit juice. You can drink coffee and tea at a moderate level. If you are concerned about water quality, you can buy a water purifier. If you are used to drinking sugary water, getting rid of them will be very difficult. But slowly, everything will be fine. As you know, one of the main causes of pancreatic cancer is type 2 diabetes. Refined carbohydrates like white powdery products will almost instantly turn into sugars when you eat them. Therefore, they are very easy to make you have diabetes. Sugar is present in many junk foods, from sugary confectionery such as sweets, candy, chocolate, to less sweet items such as fruit bars or yogurt. Sugar is cheap and it can satisfy the cravings, make people happy after a tired afternoon and meet the endless demand for energy. However, it is not good for health. Do not stock up sweeties and do not look for them whenever you want to get inspired. You need to be aware that sugar can be “hidden” in foods you do not expect as in breakfast cereal. Choose 100% whole grains. You can also substitute whole grains with oatmeal, amaranth or other whole grains. Try to make your own grains. Read the ingredients on the labels of all the products you intend to buy. Completely getting rid of sweets from life seems to be a punishment. You can sometimes spoil yourself with your favorite foods as long as you do not stray out of your eating habits. You even notice that “charming sweet” when eat on special occasions also have a great taste than eat every day. Go for healthy snacks to prevent pancreatic cancer naturally. Change sugary snacks with vegetables, fruits, nuts and other healthy types. Fresh fruits can satisfy sweet cravings. Salty almonds can replace other salty snacks like fries because they provide more nutritious foods like fiber, good fats and protein. This is very simple, but it can reduce your risk of pancreatic cancer. 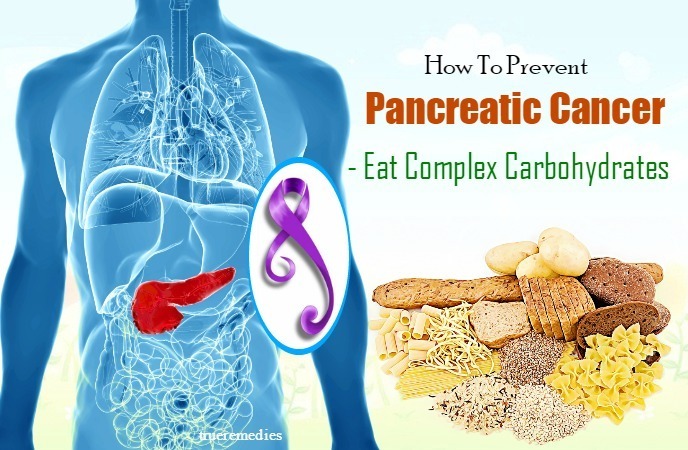 How to prevent pancreatic cancer symptoms naturally? Choose healthy fats over unhealthy ones. There is a common misconception that all types of fat are bad. It is true that fried foods are a rich source of fat. However, salmon and nuts with high fat content provide many health benefits. Avocados are another type of healthy fats. More importantly, you should avoid processed fatty acids, hydrogenated fats, and saturated fats (especially trans fats). Use vegetable oils to cook instead of cutting whole fat out of the menu. Instead, you should look for unsaturated fats, monounsaturated fats, poly-unsaturated fats. These are all good health fats. They help you prevent diabetes and pancreatic cancer. “Diet” often fails because it is only applied in a short time and will be “finished”. The concept of a new diet is that changing your eating habits instead of a temporary “diet” will help you maintain your new habits without over-exertion. You can also find yourself losing weight without much effort or pressure. Remember that the goal for good health is long-term, and even those who are extremely overweight can reduce the risk of pancreatic cancer by 70% if they lose 5% of their body weight. Avoid eating because of emotion. Try to distinguish between physiological hunger and emotional hunger. Remember that physiological hunger can fill up with any food, while emotional hunger manifests itself in a certain appetite. Consider meeting a psychologist or dietitian if you feel you cannot control your emotional hunger. When eating at late night, eat slowly to avoid overeating. The stomach takes 20 minutes to send a signal to the brain to indicate that it is full. During that time, you may have eaten too much compared to the amount of food you need. The next tip on how to prevent pancreatic cancer naturally is prioritizing exercise as a way to lose weight. As you know, overweight and obesity is one of the causes of pancreatic cancer. Therefore, it is important to lose weight and maintain a healthy weight. Many studies have shown that people who lose 5-7% of body weight and exercise half an hour a day, 5 days a week have a 58% reduction in the risk of developing pancreatic cancer. Regardless of your weight, exercise is still an important part of maintaining good health. 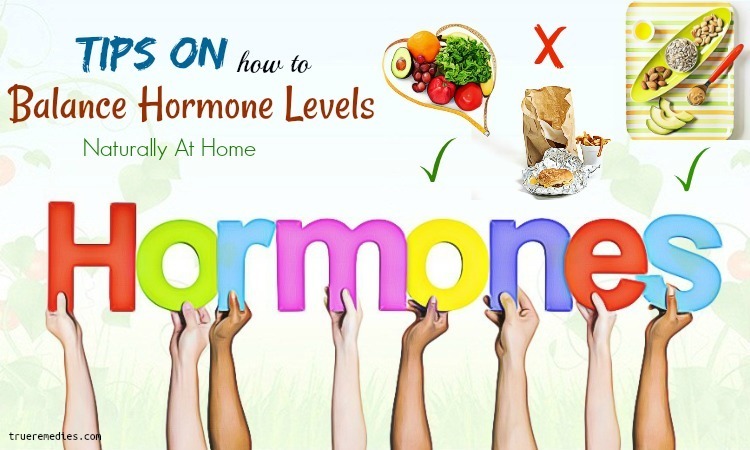 Excess fat in the body prevents glucose tolerance, a substance needed for energy. Even 30 minutes of exercise every day can help you avoid pancreatic cancer and maintain a healthy weight. You can avoid peak hours by visiting the gym, hiking, or jogging from 45 minutes to an hour after work. You may be able to go home a bit later, but will feel more relaxed as workouts can reduce stress. If you do not have time to exercise, try to walk half an hour during lunch break 5 days per week. This can be a way to “sneak” the exercise. If you are a dog lover, you can take them for a walk. Dogs will make your exercise easier. One of the other ways to exercise is to walk to the store to shop instead of driving. Unless you have to carry heavy loads, try this and you will be amazed at the results that it gives you. Ask a friend or family member to join with you. Talking in walks will help you see the distance seems shorter. As mentioned earlier, heavy alcohol use is linked to pancreatic cancer. This connection despite is still not certain, heavy use of alcohol can result in conditions like cirrhosis, chronic pancreatitis, which are known to boost the risk of pancreatic cancer. Glycemic index (GI) is a measure of the carbohydrate’s power to impact blood sugar levels. Foods having low glycemic rating stabilize blood sugar levels, while other foods might cause fast fluctuation in the blood sugar levels. Especially, the foods with a high glycemic index rating have been proven to connect with pancreatic cancer development. This connection is believed to be related to the stimulation tumor proliferation and progression within the body of foods with high glycemic index. Most non-starchy veggies, legumes and fruits have low glycemic index rating whilst refined carbohydrate-containing foods are considered high in glycemic index. Indeed, this is one of the most crucial discoveries showing us the idea of how to prevent pancreatic cancer. During the process of battling against pancreatic cancer, perhaps ellagic acid is your best weapon. Researchers showed that ellagic acid could activate the detoxifying enzymes within the liver, leading to the clearance of cancer-triggering substances in the serums. Moreover, it could prevent carcinogens from gluing to cellular DNA. This acid can also improve the immune system to effective fight off cancer cells and trigger apoptosis. In addition, thanks to antioxidant actions, ellagic acid can attack free radicals that cause pancreatic cancer. The human body uses ellagitannin to convert into ellagic acid and ellagitannin is found plentiful in berries and red fruits. Among those fruits, raspberries seem a great source of this cancer-combating compound. In an attempt to learn how to prevent pancreatic cancer, knowing what to avoid eating is will help you a lot. You had better choose fresh nuts, legumes and grains. Carcinogenic substances can be available in foods since certain fungi growing on food produce some toxins during the process or storage. Such toxins include aflatoxins, which are poisonous substances that can lead to liver cancer. Among foods, peanuts are considered extremely susceptible to aflatoxins’ contamination. Other foods like legumes, whole grains, spices and nuts are vulnerable to the bacteria and fungus that produce aflatoxins. It was suggested that there is a link between pancreatic cancer and consuming vitamin A-rich foods. CArotenoids are precursors to the vitamin A and found rich in yellow, orange and green fruits and veggies, such as sweet potatoes, carrots, cantaloupe, kale, collage greens, and spinach. Common carotenoids in diets are lycopene, beta-carotene, lutein and zeaxanthin. Dietary vitamin A and carotenoids have been proven to have strong protective effects against lung and pancreatic cancer. Therefore, you ought to add more foods rich in vitamin A and carotenoids to your diet to minimize your risk of pancreatic cancer. 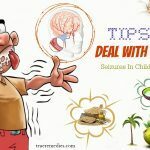 Wondering how to prevent pancreatic cancer by using bitter melon? In accordance with the researchers from University of Colorado, bitter melon juice has the ability to limit the capability of cancer cells to metabolize glucose pancreas, removing the energy source of cells and possibly damaging them. Though this test has been carried out on laboratory mice, it has still opened the natural potential treatment for pancreatic cancer. The reason why bitter melon can work against pancreatic cancer is that it can regulate insulin secretion by the pancreatic cells. This drink is very popular for its weight loss benefits, yet the advantages of green tea are beyond weight management. Actually, some evidences have suggested that this drink can help prevent pancreatic cancer as well as other types of cancer effectively. A large-scale study gave results that people drinking green tea popularly were less likely to suffering from pancreatic cancer in compared with people consuming a bit of this beverage. The effect was better in women than men since women may drink more green tea than men. Limit exposure to chemicals. If your job requires you to regularly contact them, wear protective gear to limit their impact on your health. Limit pressure and get enough sleep to slow down the aging process and improve resistance. Get regular medical check-ups to keep track of your health. Generally, pancreatic cancer is quite popular in comparison with other types of cancer. It is estimated that over 40,000 American adults are suffering from this cancer annually so knowing how to prevent pancreatic cancer symptoms naturally is crucial for most of us  . 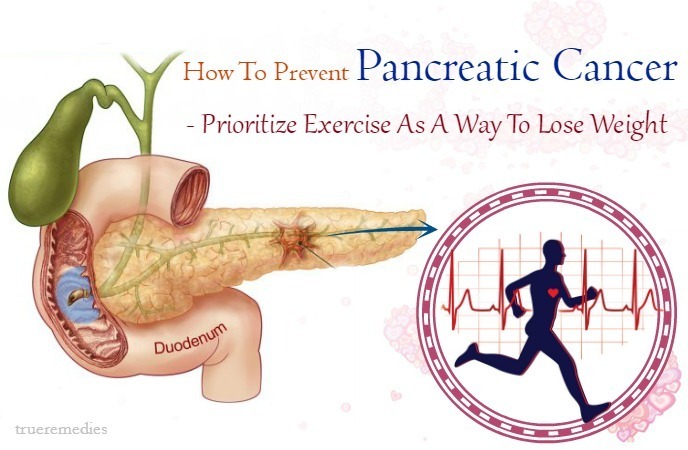 Hopefully, the article above can help you plan the effective strategy to prevent pancreatic cancer easily. If you have any contributing ideas about our article of “Top 21 Tips On How To Prevent Pancreatic Cancer Symptoms Naturally” introduced in How To Category, do not hesitate to drop your words below this post. We will answer as soon as we could.